Director Shafi teams up with Mammootty once again in Venicile Vyapari. The two have worked together in the hit films Thommanum Makkalum, Mayavi and Chattambi Nadu. James Albert, who has written scripts for films such as Classmates, Cycle and Ividam Swargamanu, is the scenarist. and now she's his heroine! The story is set in the 1980s and is a murder mystery. 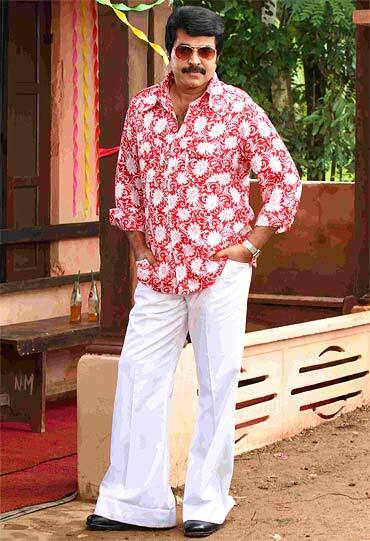 Pavithran (Mammootty) was once a police constable, who becomes a businessman in the coir trade. Ammu (Kavya) is the leader of the coir workers and the love interest in the film. Produced under the banner of Murali Films, Venicile Vyapari has cinematography by Shamdat and music by Biji Bal. The shooting of the film is going on at Alappuzha (known as the Venice of the East, hence the Shakespearean name of the film -- merchant of Venice) and surrounding areas right now. PIX: Bal and Rampal, dynamic catwalk duo!